Have you ever reacted from a place of anger, or exhaustion? Do you look back on your day and realize that you checked your phone or digital device 100 times out of habit, boredom, or angst? There are consequences when you forget to pause, and we all forget. We get busy, tired, or distracted and forget to pause. If we want peace, we have to prioritize the pause. If you have a conversation and your mind is racing, you will talk over the people you love, or leave the conversation without hearing what was said. Hearing words is often different from understanding the message. You might not even know you are doing it, so to prevent a missed opportunity to connect, pause before you get started. Be present. Listen and pause again before responding. Don’t be afraid of the silence. The precious pause you take before engaging not only brings you back to the moment, but it demonstrates that you value the heart, time and attention that someone else is bringing to the table. The pause gives you permission to show up. If you are bored, or worried, you might be checking your phone or digital device more than you think. Checking email and other apps might also be a way of procrastinating too. I’m guilty! I recently realized that my mindless checks were easier than finishing something that felt overwhelming. When I realized what was going on, I hid my distracting apps, like email, Google, and social media and got back to work. After being without them for a week, I’m thinking of deleting most of them because I wasn’t getting anything from my check-ins. Put a Post-it note on your phone with the word, pause or breathe on it. It will help you break the habit of checking in to check out. Try a shopping pause for the next 30 days. Instead of buying something with paper or plastic, buy it on paper. Write down what you think about buying along with the price. Keep track of the items you want and the money you would have spent buying them. At the end of 30 days, look at the total amount of money you saved and ask yourself if you want to spend it on the items you listed or use it for something else. 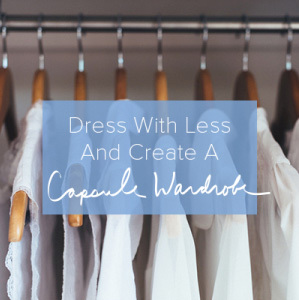 It’s easier to justify one purchase at a time, but when you total your expenses and realize how much you are spending each month, the individual purchases may seem less important. If your monthly total is $800, would you go out and buy everything on the list or use the $800 differently? If you forget to pause pre-purchase, pause post purchase. If you don’t need it or regret the purchase, return it. Before you hit the snooze button, or jump out of bed and into your email, pause, stretch and be grateful for the possibilities that the day holds. If you want to be more productive and peaceful throughout the day, create a meaningful morning routine. Taking care of yourself first will allow you to take better care of your passions and the people you love. The worst time to react is when you feel hurt. There is too much fuel on the fire of your pain to think clearly. Better to pause, take a walk, sleep on it, or do what you need to do to craft a response that will be helpful instead of hurtful. Otherwise, you get caught in a cycle with no resolution. 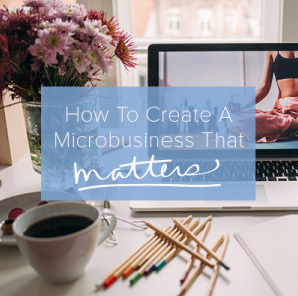 This could be something simple like someone criticizing your work, or more complicated like an argument with someone you love. No one else can give you peace. 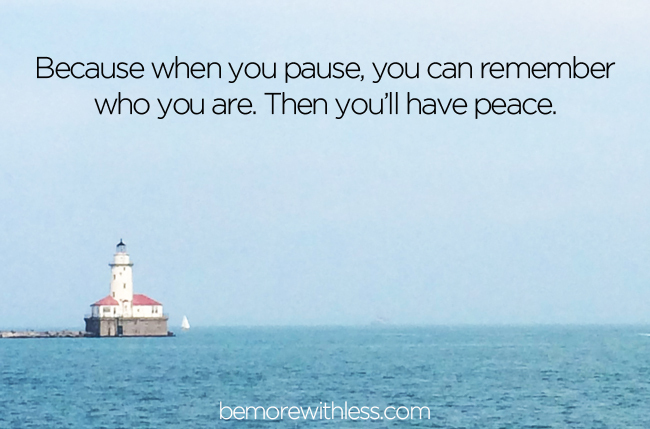 Take the time you need, because when you pause, you can remember who you are, and then you’ll have peace. What happened to lingering? If it takes you more time to create a meal than it does to enjoy it, turn on soft music, put your fork down, savor each bite, make eye contact and linger. Food will fuel your body and your soul if you let it. You will eat less and make connections and memories that last. Whether its stuff, emotions, or the need to be right, pause and consider the reason for your tight grip. How would it feel to take a deep breath and simply let go? Pause for more peace. Pause with a deep breath, a long walk, or by writing down your thoughts. Create that space for yourself. 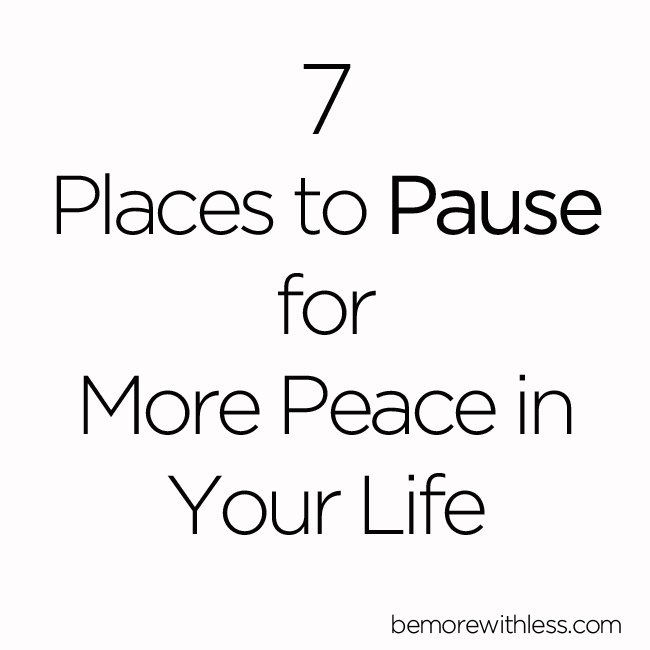 More peace is only a pause away. Amen to this! I have to remind myself to slow down and just soak up all the good around me every once in awhile. It’s so easy to get caught up in the hustle and bustle of daily life that I sometimes forget to be grateful for everything I have. I’ve been making more of a conscious effort to revamp my morning routine and wake up before my daughter is up for the day. Having an hour or two to myself before she wakes up and needs me for the day (she’s 11 months) has been so vital in increasing my overall happiness and reducing my stress level. I love this post – and so perfect especially for summer. A lot of pausing going on around here. Thanks for sharing! I love the sentiments expressed in this post. I especially love the advice to pause when we’re hurt and pause when we’re holding on. 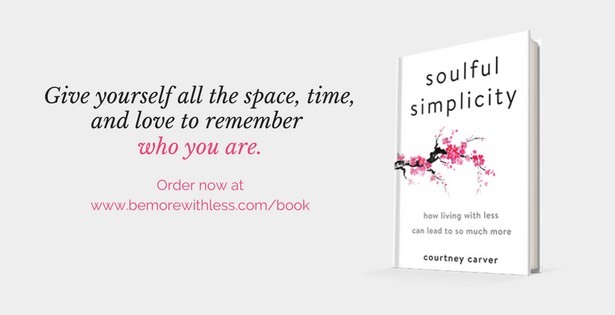 It’s so difficult to take a breath and keep myself from getting reactive in those moments– and those are the places where time and space to reflect is the most skillful response. Thank you for this. A wonderful and solid list. Not one is out of place or not as strong, love it. Thank you. This is such a great reminder. Everyone is always so “busy” and rush , rush, rush but we would all be healthier and happier if we just paused more…. pause before we eat that entire pizza, pause before we say that hurtful thing in anger to our best friend, pause before we dive into yet another tedious task…. When you pause you aren’t just going through the motions you are living them and giving yourself a chance to really experience and appreciate them. I love this. Pausing helps us to recenter, refocus, reconsider, and relax. Wonderful.